dance.net - NWT: Pink Plaid Highland Choreography Dress (10244346) - Read article: Ballet, Jazz, Modern, Hip Hop, Tap, Irish, Disco, Twirling, Cheer: Photos, Chat, Games, Jobs, Events! $20 USD plus postage with tracking from MI, USA. 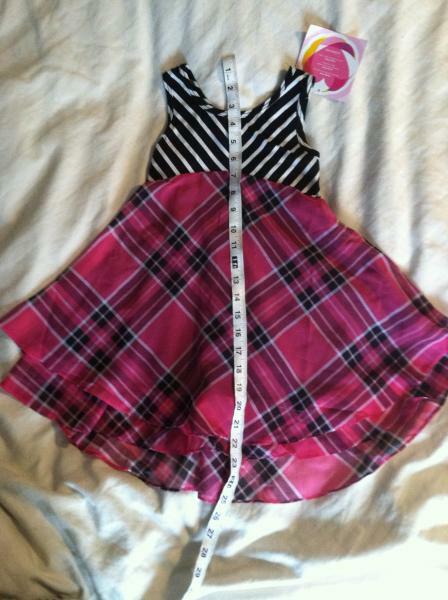 New with tags: Lovely little pink plaid and striped dress we purchased for choreography but never got a chance to use. 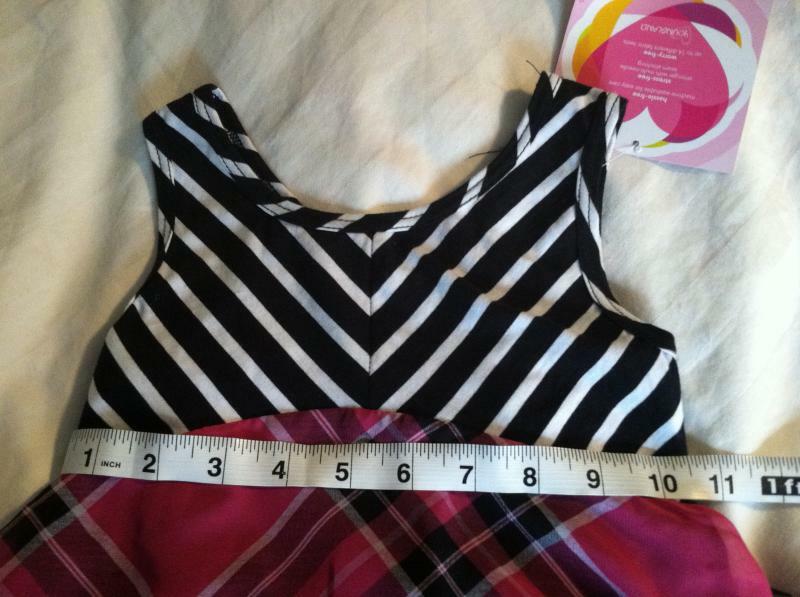 Tag says size 5 but the bodice is stretchy cotton/polyester and ties in the back so there is some variance on sizing. Measurements on photos. Skirt is flowy layers of pink plaid and is higher in the front, lower in the back. Would also make a sweet party dress for your wee dancer. Smoke-free home. Machine Washable. I will pack it in a large bubble envelope to keep the cost down. Payment via PayPal. Posted on other sale sites. I am also selling a blue choreography dress and will combine shipping if someone takes both.